This machine is suitable for printing such packing materials as polyethylene,polypropylene bag,glass paper and roll paper,etc. And it is a kind of ideal printing equipment for producing paper packing bag fi food,supermarket handbag,,vest bag and clothes bag,etc.And it is a kind of ideal printing equipment for producing paper packing bag for food,supermarket handbag,vestbag and clothes bag,etc. 1st, the operation is simple, the starting is gentle, color printing accurate. 2ed,Counts Mi Qike to act according to the request hypothesis print quantity, to the number auto-stop, breaks the material auto-stop . 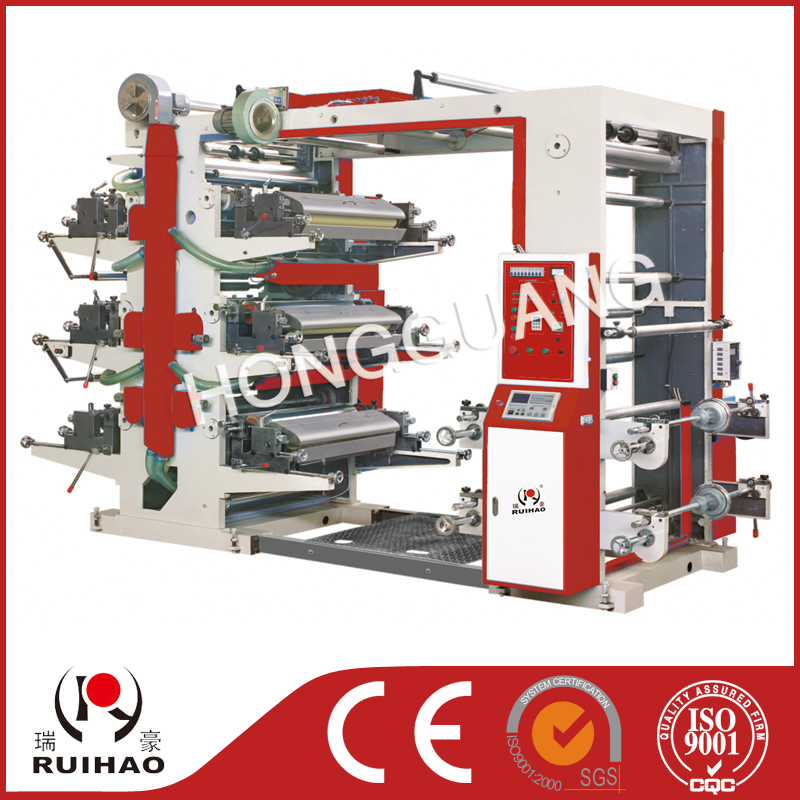 3th,Manual rise and fall printing plate drum, after fluctuation printing ink automatic agitation . 4th,The net grain drum passes on the ink, the black color is even. 5th, reliable dry system, coordinate high-speed operation, engine off automatic abruption. 6th,360 degrees continuously adjustable longitudinal to flowered installment . 7th,Frequency conversion velocity modulation, adaptation different printing speed. 8th,On the version roller seat and receives on material to be loaded with the spot to move and the pause button, is advantageous for when the justification operates the machine.